Perceptions about urinary incontinence (UI) may have a differential impact on treatment-seeking behaviors. Thus, we aimed to systematically review perceptions regarding UI in women of different racial and ethnic populations. MEDLINE, EMBASE, Scirus, Google Scholar, Open J-Gate, AgeLine, and Global Health (CABI) were searched from January 1980 to August 2011. We included qualitative studies that described knowledge, perception, or personal views about UI in women. 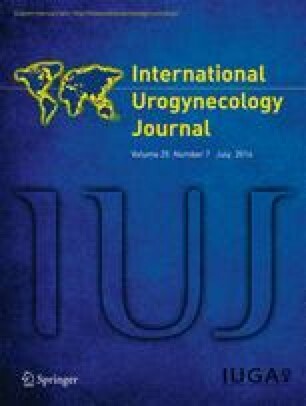 Studies were excluded if they did not specify race/ethnicity of subjects, if they reported on non-UI urinary symptoms, or if they were performed exclusively in men. Three independent reviewers screened all studies. The relevance, appropriateness, transparency, and soundness (RATS) scale for qualitative research was used to assess study quality. Because of the qualitative data, meta-analyses were not performed. Of 3,676 citations, 23 studies met the inclusion criteria. Based on the RATS scale, these were categorized into 11 high-, 2 moderate-, and 10 low-quality studies. Dominant themes fell into two categories, UI management and UI experience, and were similar across racial/ethnic groups. Across multiple studies, women reiterated a preference for discussing UI with other women, even if this was not a physician. Non-white women expressed self-blame and perceived UI as a negative outcome from childbirth or prior sexual experiences. Latina women maintained more secrecy around this issue, even amongst family members. Women across different racial and ethnic groups share similar UI management strategies and UI experiences. However, perceptions about UI may differ in certain populations. These findings could be useful when considering future educational strategies regarding UI in women.